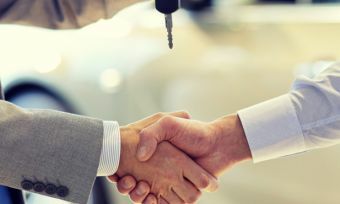 The rise of Uber has rocked the transport industry in Australia and across the globe, and while it looks like the ‘ride sharing’ service will be here to stay, Canstar Blue research reveals that a large portion of Australians are not yet convinced. A Canstar Blue survey of over 3,000 Australian adults found that only 16% have used Uber in the last three months, while nearly double that number (31%) have caught a taxi. 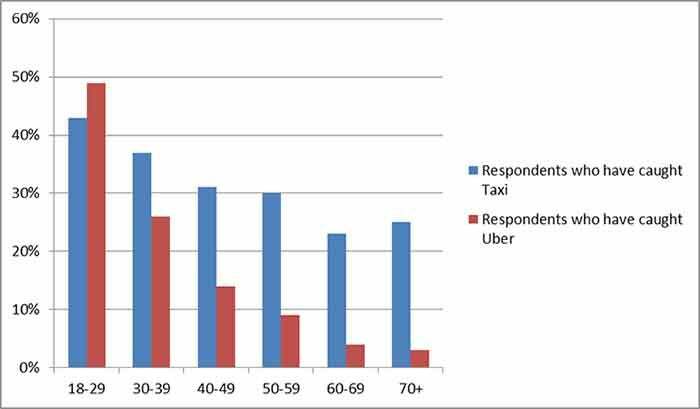 Only those aged 18-29 are more likely to have used Uber than to have caught a taxi (49% vs 43%). And women are more likely to have used Uber than men (17% vs 14%). Across the country, 18% of survey respondents said they would consider working for Uber. Why do Aussies take taxis? Of the survey respondents who have caught a taxi in the last three months, more than half (54%) said they trust taxi drivers more than Uber drivers. In addition, 57% said they are happy to pay extra to take a taxi instead of using Uber. Why do some prefer Uber? Of the survey respondents who have used Uber in the last three months, nine out of ten (89%) said they did so because it’s cheaper, while two-thirds (67%) prefer Uber drivers to taxi drivers. In addition, 40% of Uber customers expect to never take a taxi again. Uber is proving hugely popular with certain segments of society, but not everyone has been won over. While the company’s success has largely been driven by millennials, the graph below shows that the number of older Aussies using the service remains comparatively low. Traditional taxi services remain more popular than Uber across each state and territory, however, the popularity gap varies nationwide. Of South Australian survey respondents, 25% said they have caught a taxi in the past three months, while only 5% have used Uber – a difference of 20%. 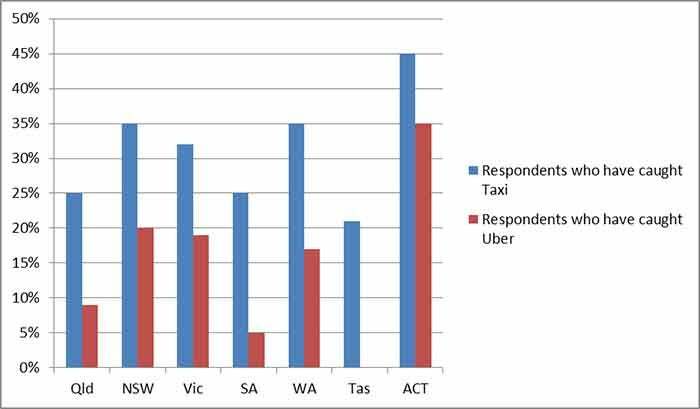 Uber appears to be most popular comparatively in Victoria where 32% have recently caught a taxi, compared to 19% who have used Uber – a difference of only 13%. Taxi and ride sharing laws come under state and territory jurisdiction. While Uber is now legal in most places, it is not legal everywhere. Uber is legal in New South Wales, South Australia, Queensland, Victoria, the Australian Capital Territory and most recently, Tasmania. While Uber is technically legal in these states, some governments have imposed certain regulations. At the time of writing, Uber is still not legal in Western Australia. However, the government announced plans to deregulate the taxi industry in 2017, allowing ride sharing services like Uber to compete. Uber is not yet legal in Northern Territory. While the government has not ruled out changes to these laws in the future, there are no immediate plans to legalise Uber in the territory.